In honor of International Women’s Day on Thursday, The Irrawaddy revisits a selection of stories from the past five years featuring noteworthy women involved in a diverse range of fields. The women include a filmmaker, self-defense instructor, human rights activist, harpist, yoga instructor, company founder, peace activist, UN award winner, democracy activist and journalist. They are just a few of the many women – who together comprise half of our nation – making notable contributions to the country’s social and economic development, while helping to bring peace and understanding to our society. Let’s work together to make a world of equality for all, in which there is no place for discrimination. 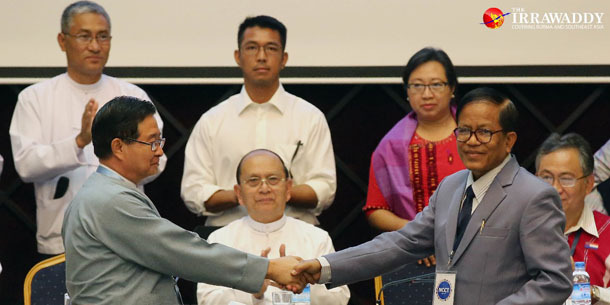 “It was my dream to start up a local publication that reflects local needs, reports on the huge human rights violations and raises people’s concerns,” said Seng Mai Maran. After fighting media-fueled discrimination at school, now Hnin Pa Pa Soe is taking on the censors. ‘Women have their own rights, and not because they are given by men,’ says a co-founder of the Myanmar Women’s Self-defense Center. Ethnic Kachin Lamai Mai Mai has dedicated her life to displaced youth, her latest project helps children with orofacial clefts. Cheery Zahau, a winner of the UN’s N-Peace Awards for 2017, says gender equality is not only good for women, but for the whole country. 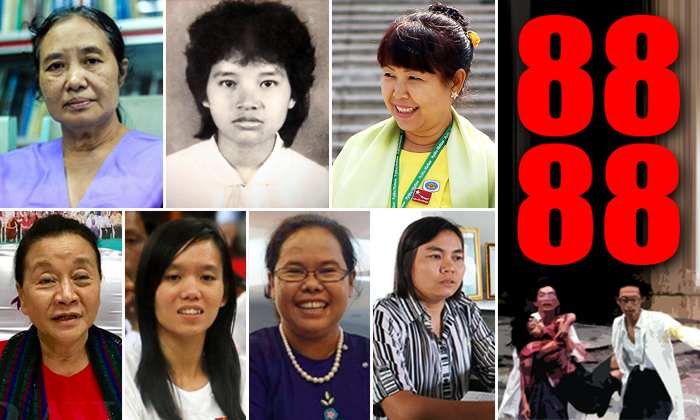 The Irrawaddy profiles seven women who were involved in or inspired by the events of 1988. After decades of studying and practicing, Su Zar Zar hopes to preserve the musical tradition she became enamored with as a child. Teacher Nan Su Kay Swan reflects on nearly 20 years of practice, and the evolution of yoga from a physical challenge to a devotion to mindfulness. 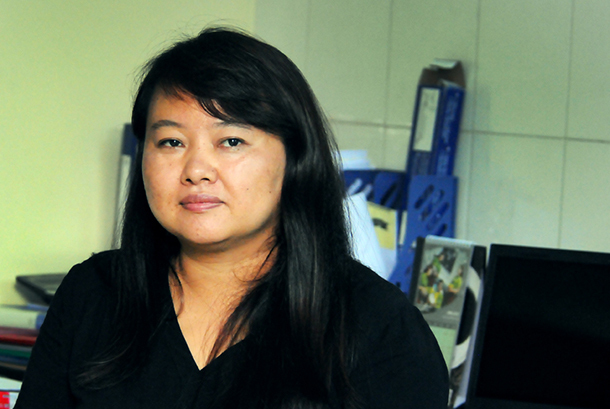 The Irrawaddy interviews the agency’s founder about Myanmar’s digital landscape, digital rights and feminism. 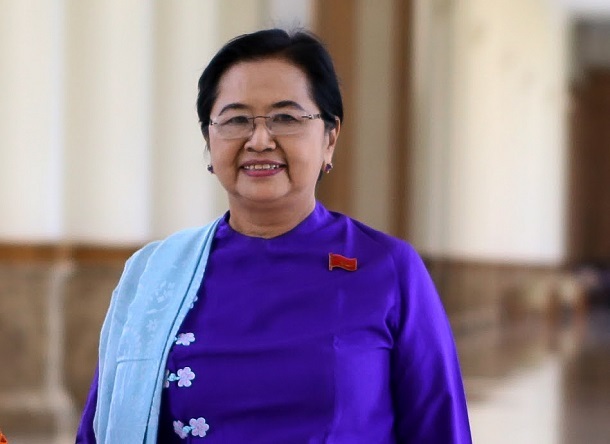 After years promoting education and supporting Suu Kyi and the NLD from the sidelines, Su Su Lwin steps into the spotlight, as Burma’s new first lady. Ja Nan, an ethnic Kachin peace facilitator, is one of only a handful of women privy to the inner workings of Burma’s ceasefire negotiations. Lway Aye Nang travels to some of Burma’s most remote areas to scout for promising political talent. May Sabe Phyu says she can’t sit around and wait for others to change Burma, where women are marginalized and civil war still simmers.